El Limonar International School Villamartín is an international, British curriculum school founded in 1990 with some 500 pupils aged 3 to 18 of more than 30 different nationalities on roll. El Limonar International School Villamartín follows the National Curriculum for England and Wales, and offers IGCSE and A Level examinations. The school is accredited by NABSS (National Association for British Schools in Spain), is recognised by the Spanish Ministry of Education and is an approved examining centre for Cambridge International Examinations, Edexcel and AQA and is also a Preparation Centre for Cambridge English Examinations and Trinity College Examinations. The School is part of the Cognita groups European division. About 80% of the school day is taught through English. That is all subjects except for Spanish Language and Culture, and a third language (French, German or Chinese) from Year 5 on. Class sizes vary according to the subject taught though the maximum group size is 25. The school follows the academic year September to June as published by the Spanish Ministry of Education. The school day runs from 9.15am to 4.45pm and optional services include transportation and, extra-curricular activities. The dining service is compulsory for Early Years and Primary pupils. Secondary pupils have the option of school lunch or packed lunch. The purpose built site at Villamartín, completed in 2004, is set in 12.000 m2 grounds. The building has a floor space of 5.000 m2 and consists of classrooms averaging 60 m2 in size for Early Years, Primary, Secondary and A Level pupils aged 3 to 18. In addition, there are 4 computer suites, 3 science laboratories, an A Level Study Centre, Common Room, dedicated music and art rooms, a magnificent drama area, Early Years motricity room and indoor gym, Examination office, Guidance Department, staff rooms, meeting rooms, offices, kitchens and dining hall. 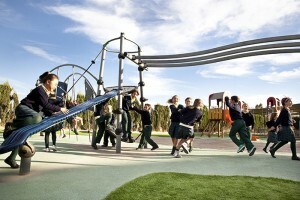 Outdoor facilities include an Early Years play area with safety rubber flooring and grass, a grassed Primary playground and multi-purpose football and basketball pitches, as well as plentiful parking areas. El Limonar International School is part of Cognita, a world leading international schools group, currently encompassing sixty-four schools across three continents. . The group employs some 4,000 teaching and support staff in the care and education of around 27,500 pupils from the age of 1 to 18 years.